Don't Buy a Stock Planner Ever Again. 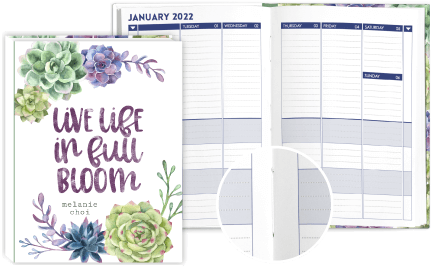 Instead, create your own personalized planner you'll love. 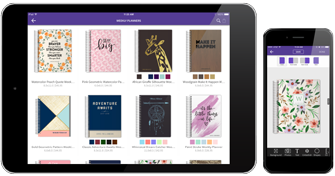 Pick a size and layout, a start date, personalize the cover & customize with add-on pages. We know everyone is different and we all manage our lives in different ways. That's why we offer specially designed planners that works best for you and your lifestyle. 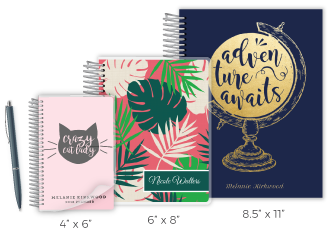 These planners also make for great gift. Select a category above to get started. All of our sewn books are made with Smyth-sewn binding, which is the hallmark of library quality books. It’s really easy to write on both sides of the pages. These books are available as durable hard cover books. 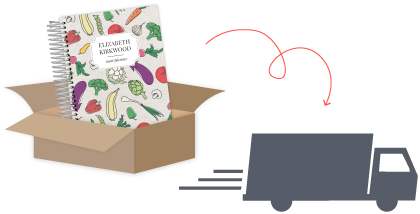 Our coil bound books are made with premium paper and a sturdy metal coil. The pages turn easily and lay flat. All our coil bound books are available with 3 different cover options including laminate, synthetic and hard cover, and have many inside page options to choose from. Create a cover that shows off your passion, soothes your soul or layouts or motivates you to get through the week. Start with one of our many designs or create your very own. 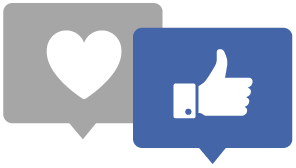 Make it your favorite color, change your choice of font and add unlimited photos. Our online design center is simple and easy to use. 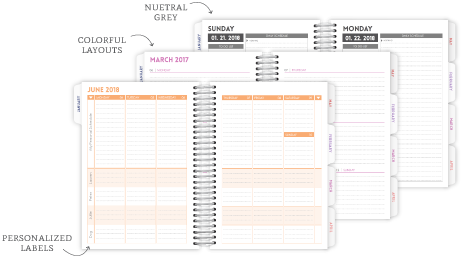 Pick from colorful or neutral grey inside pages and your choice of many layout options. 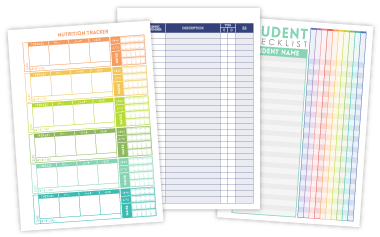 Even add personalized labels in our mom, student and teacher formats! Choose from laminate, synthetic or hard cover, and our premium silver coil binding allows your pages to lay flat and it makes it easy to turn pages. 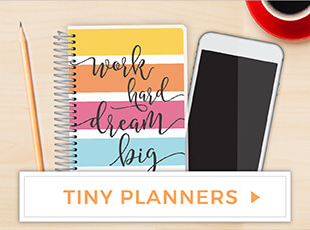 Pick the size that suits you best – our large 8.5x11, the mid-sized 6x8 or our Tiny Planner at just 4x6 inches. Find just the right format for your planning style. We have multiple weekly, daily & monthly options all designed with a clean look to maximize space & optimize planning. 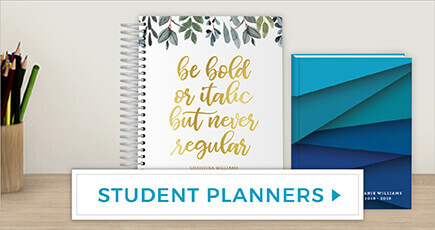 Our Teacher and Student Planners make the grade with customized inside pages with class or subject labels. 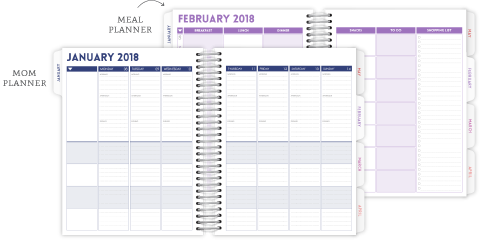 Each features 2-page monthly spreads with weekday planning pages to keep you on track and organized in the classroom. 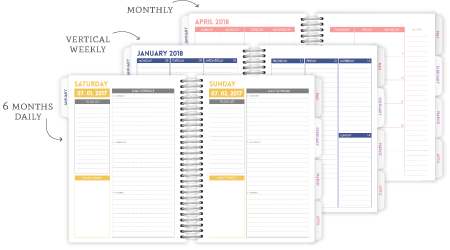 Our Mom Planner is an essential tools for busy families. Customize the weekly spreads with the names of your family for easy weekly planning. 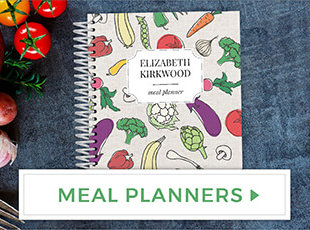 Our meal planner has all the essentials to keep you on top of your meals each & every week. You’ll love being able to look back & find ideas from previous meals! 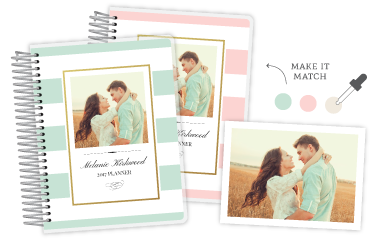 With 12 color-coordinated sections for items such as budget, vendors, dress, reception, flowers, paper goods and more, the popular PurpleTrail Wedding Planner is an essential planning tool for every bride-to-be. 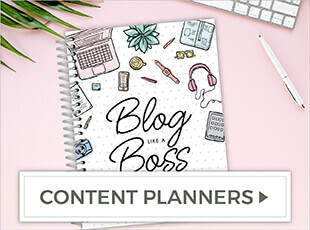 Our coil bound planners have more than 17 add-on options that you can add to build the perfect planner for your planning needs. Choose from checklists, nutrition trackers, travel itineraries, password lists and more, each with its own tabbed section. 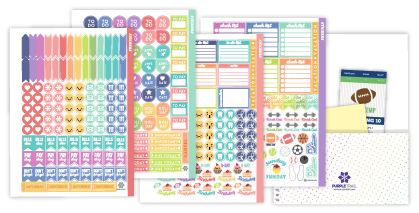 Fun and functional stickers or a handy pocket folder can be added and bound directly into your planner for easy access and organization. Our signature planner paper is smooth & perfect for writing with just about any pen. The thick 80lb paper resists bleed through and is a joy to write on. 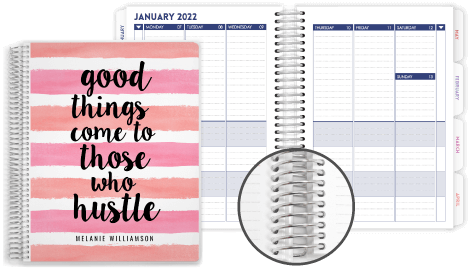 When you create the perfect planner, we know you just want to get it fast and start planning – now. That’s why we are committed to getting your planner in your hands as quickly as possible. 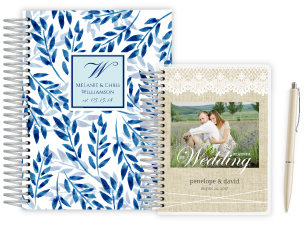 We make your custom our planner ourselves from start to finish, so there is no added delay. Get yours in as little as one business day. 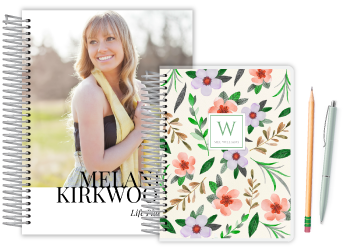 We want you to be absolutely thrilled with your new planner We pay extra attention to the details and offer a designer review and digital proof option to make sure it is absolutely perfect. In a hurry? 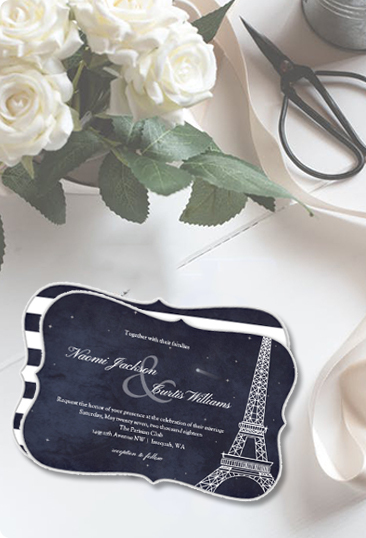 Save time and use our app to create and order your wedding planner, invitations and cards. It’s easy to use and free to download.